X-rays are essential to a person’s oral health, and at Granville Station Dental in Vancouver, we want to ensure that people are getting regular X-rays for their teeth. Dental Secrets Straight from Your Dentist! Your oral health is important and at Granville Skytrain Station Dental, our team of dentists want to share with you the most important oral health secrets that will give you a healthy smile you’ll be proud to show off everywhere. Many dental patients in Vancouver believe they have perfect oral health. However, at Granville Station Dental, we see many patients who are suffering from gingivitis and gum disease without even realizing it. Using dental floss properly is essential to your oral health because it eliminates plaque and gets rid of food bits in places where a toothbrush can’t reach. Oral Health Care: Is Nail Biting Really Bad for Your Teeth? We all know that nail biting is a bad habit, but do you know why? The dental team at Granville Station Dental in Vancouver want to clarify why this habit is so detrimental to your overall oral health. Your children’s oral health is important, and keeping teeth and gums healthy is crucial on so many levels. Studies reveal that a better smile can be a contributing factor to success in your career. If you constantly have bad breath and think there’s nothing you can do about it, think again. These helpful tips can assist in keeping bad breath at bay. Simply brushing your teeth is not an effective solution for preventing tooth decay and erosion. The general dentistry team at Granville Station Dental in Vancouver recommends dental sealants, which give teeth solid protection against the bacteria that infiltrates your mouth and causes cavities. If you’re pregnant and wondering what effect your oral health might have on your unborn baby, the dental health experts at our dental practice want patients to know the facts about how oral health can impact pregnancy. The importance of good oral hygiene. Oral health isn’t just linked to appearance, it is a gateway into your overall well being. Keeping a healthy mouth is generally simple, but just like everything else in your body, there can be a few surprises and things you might miss. Is Fluoride Water Good For You? Have you ever tried drinking fluoride water? You might find the term a little too odd because the term fluoride is usually associated with teeth-related products but never water. Book an appointment today with Granville Station Dental. 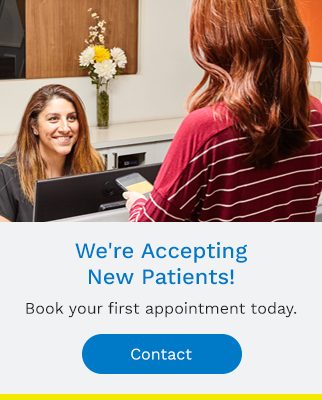 We're accepting new patients and can't wait to meet you!